Winter, My Cold Friend: A Finnish Mom and Her Vermont Baby Embrace the Season | Use Your Words | Kids VT - small people, big ideas! The winter lingered too long in Vermont last year. When I saw the snow slowly falling in April, I wasn't nearly as elated as I was earlier in the season. And I was tired of pushing my 10-month-old daughter through banks of snow in her stroller. I also knew that my daughter would soon outgrow her snowsuit. Winter had turned into a big, cold friend who had overstayed its welcome. In the playgroups we frequented, I heard fellow parents say multiple times, "I wish this winter would be over so I could get out with my baby." When the weather finally took a turn toward spring, a family friend of ours commented, "You must be so relieved to be able to finally get outside with her." At first, I didn't understand what she was talking about. None of our family had been sick recently. Then I realized: She, too, was referring to the end of winter. While my winter was the clingy but endearing friend we kept meeting outside, hers was something that babies needed to avoid. Winters in Vermont and southern Finland, where I'm from, are not that different. In both places, the season starts around November or December and ends by April. The average January temperature in Helsinki is 26 degrees Fahrenheit, just a little higher than Burlington's average of 20 degrees. However, only in Finland is it common to spot a baby napping outside in freezing temperatures. It's an accepted Finnish belief that babies sleep best outside in the winter. Neither I nor my Finnish family or friends know where this belief comes from. Like any common cultural custom, you learn it by seeing it done around you. When a baby is born, the Social Insurance Institution of Finland provides each family with a "maternity package." 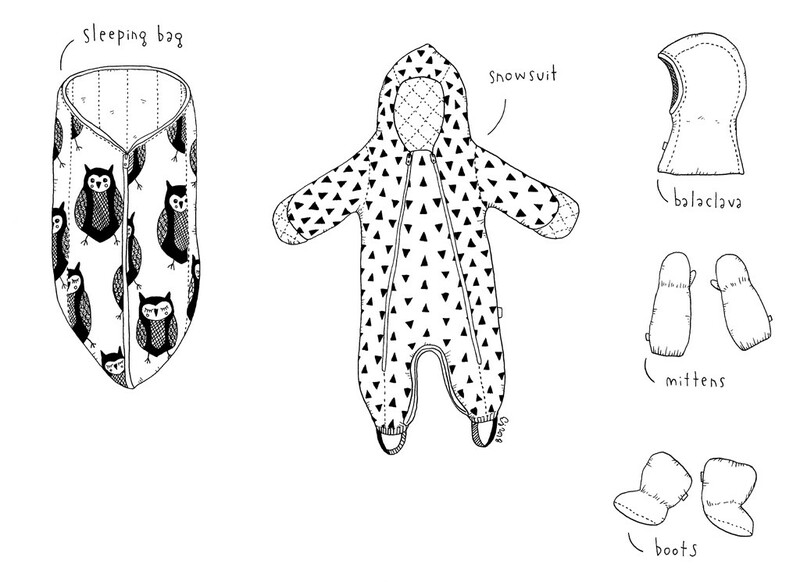 The package — basically an American baby shower in one big cardboard box — contains not only pants, rompers and a book, but a snowsuit, insulated mittens and booties, a balaclava hood and a sleeping bag. As an expatriate Finn, I didn't receive the box. But I did have the awareness of its contents, and a Finnish family who could send me the things I was missing in Vermont, like the simple sleeping bag for the stroller. This cold-weather gear combination became our ticket to the outside. However, we were often there alone. No other strollers passed us on our snowy walks. Once a passerby yelled at us, "You are brave!" Another time, I had to explain to a worried stranger that my daughter was warm in her stroller. At the end of playgroups, other babies often disappeared under their car seat covers, carried straight to their cars. I don't blame anyone for staying indoors altogether. When the temperature dropped last year, taking my daughter out for the first time in the cold felt a bit scary. Overcoming this initial worry took both the gear and the cultural knowledge. It helped that my parents happened to visit and showed us how to cocoon the sleeping bag around our daughter. I learned that the best way to make sure that she was not too hot or cold was to touch her neck and feel that it was neither sweaty nor cold. I also found that the common Finnish belief proved to be true: My daughter's naps were longer when she slept outside. When the temperature dipped below 0 degrees Fahrenheit, however, even we preferred to stay home. At the end of April, when the snow finally melted away, I was left wondering about these two different responses to winter: one of welcoming and the other of avoidance. If the winter climate in these two places — Vermont and Finland — is so similar, how had the two cultures evolved to treat it so differently?